You need to identify your target audience and then learn all you can about them. Flesh out your audience by creating a marketing persona so that you can really know to whom you are writing and they, in turn, sense a connection point with you. Listen to what those in your target audience are saying on social media. If you listen well, you will begin to figure out what are some common concerns and interests. Writing a successful blog requires the ability to identify with the reader and that happens best when you’re a good listener. Once you understand the most common needs in your target audience you are ready to identify specific ways you can meet those needs. Your blogs will refer to problems and solutions with a voice that is engaging and practical. You want to create a positive experience for visitors to your blog and more and more this means that you will want to use eye-catching visuals. One expert suggests envisioning your blog as a magazine layout. Make it easy for your readers to link from your blog to social media outlets. 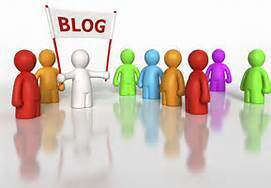 The aim of writing a successful blog is to see your content shared with others. Once you’ve mastered the content in terms of subject and style you want to make your content as portable as possible. There are plenty of other tricks to the blogging trade and at SJC Copywriting Solutions we’re ready to put them to work for your business. Call or email us today. This entry was posted in Blog Writing and tagged audience engagement, blog writing, blog writing tips, SJC, successful blog writing, Susan J Campebll Copywriting Solutions, target audience. Bookmark the permalink.